Do you love healthy vegetables? I mean plain and simple healthy vegetables, just as they are – high in vegetable nutrition, not deep-fried, drowning in butter, cheese sauce or salad dressing. Vegetable nutrition for healthy vegetables is very high in nutrients and very low in calories. But do you know which vegetables are worth a love affair? Which ones have a good enough character for a long-term, nurturing relationship? If you don't like them now, would you be willing to learn to love healthy vegetables – without trying to change them into something they're not? Eating healthy vegetables is essential to your optimum health and fitness. Vegetable nutrition has long been known as an excellent source of important vitamins, minerals, high fiber and healthy complex carbohydrates. But recently science has discovered that certain vegetables and fruits are also rich in powerful disease preventing antioxidant phytonutrients. 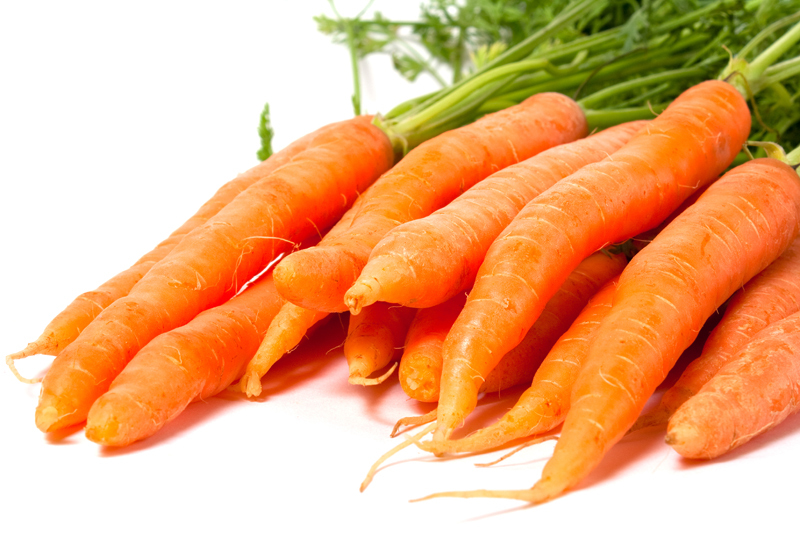 Carotenoids are found in bright yellow, orange, red and green healthy vegetables and fruits. Carotenoids are potent antioxidants proven to greatly boost your immune system and reduce your overall risk of both cancer and heart disease. The highest carotenoid levels are found in carrots, red bell peppers, tomatoes and green leafy vegetables. Flavonoids are the phytonutrients found in brilliant blue, purple and emerald green vegetables and fruits, plus some yellow, red and orange not attributed to carotenoids. Flavonoids are also powerful antioxidants shown to help prevent cancer and heart disease. They’re found in beets, kale, red onions, French beans, endives and berries. Cruciferous vegetables, such as broccoli, cauliflower, Brussels sprouts and collard greens, contain some special phytonutrients that are not found in other vegetables. These cruciferous compounds have been shown to help prevent cancers of particular organs, such as prostate, uterus, lung, colon, digestive tract and breast cancer. The most nutritious vegetables and fruits, highest in phytonutrients, have also been found to prevent cataract formation, hypertension, birth defects, diverticulosis, obesity and diabetes. The National Cancer Institute, the American Cancer Society and the National Research Council all recommend that you eat at least 5 to 9 servings of colorful phytonutrient produce every day. But are you doing that? Maybe not! Most people in the U.S. fall far short of the minimum goal. And studies show that when people from modernized countries, like America, do eat produce, they usually don't choose colorful healthy vegetables and fruits. The most popular produce is Iceberg lettuce, potatoes and bananas. These contain very little of the important phytonutrients. So maybe it's time to start a love affair with healthy vegetables and fruits. You can invite your friends over for a healthy vegetable medley. Add bright berries to your morning cereal. Munch on a big dark green salad with tomatoes and cauliflower florets for lunch. For dinner, feast on whole-wheat pasta with tomato marinara sauce and sautéed healthy vegetables. And, in-between meals, snack on raw carrots, steamed broccoli or fresh fruit. It’s to your best advantage to fall in love with wholesome, colorful, nutritious, healthy vegetables. Start changing your routine today to include as many as possible. But remember to choose the healthiest ones from the list of vegetables and the fruit list and don’t overcook or drown them in butter, oil, cream sauce or salad dressings. Eat healthy vegetables – fresh, plain and simple! And to make sure you’re getting all of the antioxidant phytonutrients you need, consider supplementing your diet. My highest recommendation can be found at the Carotenoid web site. Be sure to subscribe to the Natural Health Newsletter.